Put simply, filmmaking is really just a matter of deciding what’s in the frame and what isn’t. As a director, you have two things: A) a story to tell and B) an empty rectangle (or square, if we’re talking 4:3) with which to tell it. How well you tell that story depends on the images you pick to populate that rectangle and the sounds you select to accompany them. It may sound elementary, but ask any moviemaker who cares about their art if they think it’s easy. Spoilers: it’s not. There’s something else you’ll learn from talking to filmmakers who’ve “made it”—that there’s no one single way to learn the craft or to break into the industry. Some directors absorb all they need from watching other people’s movies. Some learn on the job at the heels of a more established auteur. Some come up through film school, making their own stuff and upping the scope and ambition with each successive project. And for most, it’s some combination of all of the above. “We work year-round to advocate for an inclusive industry,” says Film Independent Director of Artist Development Jennifer Kushner. “There is still vital work that needs to be done to address gender and diversity representation and our commitment to bold and diverse creators remains stronger than ever.” Celebrating its 18th year (old enough to vote!) the Directing Lab helps up-and-coming directors to develop their projects, with the help of established Creative Advisors, which this year include Daniel Barnz (Cake), Nicole Holofcener (Enough Said) and James Ponsoldt (The End of the Tour)—plus a who’s-who of bonus guest speakers and advisors. During the program, Fellows will receive script feedback; participate in group discussions to flesh out their vision and workshop individual scenes from their feature-length works-in-progress. Film Independent will provide digital camera package and a small production stipend to actually, you know, hire crew and whatnot. Logline: Disheartened by her deportation from Europe, Mariam is forced to return home to Western Sahara. Adrift in the very place that’s supposed to be her home, she searches for the means to assert agency over her own life. Logline: A recent widow sees the face of Jesus on her gay Aqua Aerobics instructor’s swimming shorts and sets out to convince him that he is Jesus. Logline: Near Quito, Ecuador, teenager Diana escapes from an institution for troubled girls with her toddler. The goal: travel to pick up her younger sister from their abusive childhood home and start a new life. But along the way, Diana ends up down and out and must figure out how to survive with her young son, whom she’s not even sure she wants. Logline: An awkward Canadian teen befriends the mysterious girl next door, and discovers that her new neighbor is actually the “child bride” of a notorious, polygamous FLDS leader wanted by the FBI. Logline: A hyper-belligerent teen, sent to live with his estranged brother in Portland, Oregon, struggles to cope with his best friend’s suicide and the very real possibility that he is losing his mind. Eimi Imanishi is a U.S./Japanese citizen who grew up in France. She earned her BFA from the Slade School of Fine Art, University College London, where she majored in sculpture. Imanishi wrote and directed “Battalion to My Beat” (2016), a narrative short film which was shot in the Western Saharan refugee camps in Algeria with a cast of refugees. The film premiered at TIFF, screened at major festivals worldwide, and won the Canal+ Award for Best International Short at the Féstival du Court Métrage de Clermont-Ferrand in 2017. 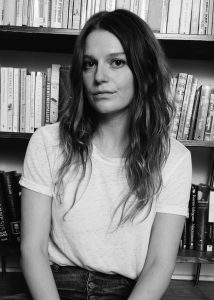 She directed “One-Up” (2016), a Columbia University thesis short film written and produced by Julia Thompson. The film won Best Narrative Short at Indie Memphis and was released online in September 2017 as a Vimeo Staff Pick film and won Short of The Week. Imanishi is developing her first feature film titled DOHA – The Rising Sun, with the support of Sundance Feature Film Program, the BFI London Micro Market, and by Maison des Scénaristes at Marché du Film Cannes 2017. She is a 2017 Sundance Screenwriting Fellow and a Film Independent Directing Fellow. Imanishi lives and works in New York as a freelance director and production designer. Tim Marshall is an award-winning Australian writer/director with an asymmetrical curiosity and a passion for exploring our misbalanced lives, from the joy to the pain. 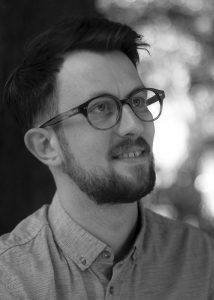 In 2013, his short film “Gorilla’” won the Iris Prize in the UK, awarding him £25K to make his next short film. The outcome of this, “Followers” is a proof-of-concept short film for his feature currently in development. The short film ‘Followers’ had its world premiere in competition at the 2015 Sundance Film Festival and screened in competition at SXSW 2015. The feature screenplay for ‘Followers’ earned Tim a place in the 2014 Outfest Screenwriting Lab, made it to the semi-finals round of the 2014 Academy Nicholl Fellowship, and was recently a part of the Film Independent Fast Track program in 2017. Marshall also has an exciting slate of feature films and TV shows currently in development. Most notably, his feature film script, The Love Division, which was one of four finalists in the Screen Queensland and Stan (Australia’s largest SVOD platform) Fully Funded Features Initiative and his comedy TV series Forever Alone, co-written by Luke Tierney. The pilot script for “Forever Alone” recently won Grand Prize in the WeScreenplay TV Script Contest, judged by Comedy Central. 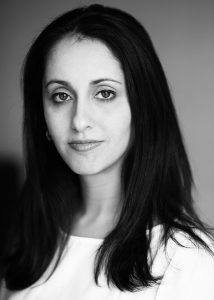 Maria Abraham is a filmmaker from Las Vegas, Nevada. She has an MFA in Film & Video Writing and Directing from Columbia College Chicago and a BA in European Studies from UCLA. In 2010-2011, Abraham received a Fulbright Grant to live in Ecuador and complete research for a feature script, Girl with Child, about a teenage girl searching for a new home with her toddler. Abraham’s short film of the same name won Best Short Short at 2013 Aspen Shortsfest and the Chicago Award at the 2013 Chicago International Film Festival. 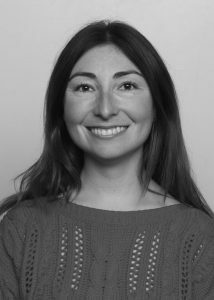 Maria was a 2016 Film Independent Screenwriting Lab fellow with Girl with Child and will participate in TFI Network with the project in spring of 2018. Recently, Girl with Child won The Pitch at Industry Days, an IFP Chicago-Chicago International Film Festival event. Maria has worked as a director and producer on documentaries, commercials, music and fashion videos, and digital series. Ally Pankiw is a Canadian writer/director, who got her start directing and producing music videos for artists such as Ariana Grande, Janelle Monae, The Arkells, The Vamps and Lil Jon. She has also directed commercials and digital content for top brands like Amazon, Pepsi, Benefit, Nylon, Nasty Gal and Chanel. Most recently, Pankiw has started working in film and TV. She served as a story editor on two seasons of the CBC’s hit comedy, Schitt’s Creek, and is now developing a new, original series with its star and creator, Dan Levy, for Imagine Entertainment. Bravo funded two of her shorts, “Stake” and “The Inherent Traits of Connor James,” and her short films have screened at noted festivals like TIFF’s Inside Out, Whistler, Outfest, The LA Comedy Fest and Frameline. In 2017, she directed the first season of CBC Comedy’s digital series, Terrific Women, which was just nominated for a 2018 Canadian Screen Award and she is now in pre-production on another series for them called An Awkward Girl Dates. She is also currently developing her feature film debut, Brooke & Sam, with Barn 12 producer James Weyman, the former head of the Ontario Media Development Corporation, in conjunction with the prestigious Harold Greenberg Fund. 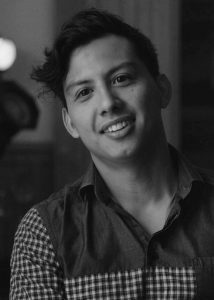 Ryan Velásquez is an award-winning writer/director who just finished season one of Re-Date (2017) – a digital series he wrote, directed, and executive-produced, which was financed and produced by Macro (Fences, Mudbound). It is being picked up for a second season that is now in development. He was recently chosen to be one of twenty participants in the FOX Global Director Initiative, and was one of twenty-five in the Ryan Murphy TV Directing Mentorship. He is a proud alumnus of Project Involve, the FOX Comedy Apprenticeship, and AFI’s Directing MFA fellowship. His AFI thesis “Ojala” (2012) won the student DGA Award, and screened at dozens of festivals around the world, while his other short that year “Record Breaker” (2012) won Best Comedy at the LA ShortsFest, making it eligible for Academy Award consideration. On top of that, he writes, produces, and directs documentaries and commercial content for the Oscars, where he oversees the development of a dozen digital series. His work has accumulated over 30M+ views online, and garnered a Gold CLIO. 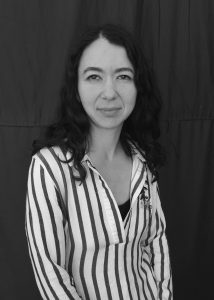 Anna Fahr is an Iranian-American Writer/Director/Producer whose work focuses on the contemporary Middle East and its Diaspora. Her films have screened in dozens of international festivals, she has been the recipient of numerous grants and has participated in conferences, panels and pitching forums, including the Talent Lab at the Toronto International Film Festival, the All Access lab at the Tribeca Film Festival and the Screenwriting Lab at Film Independent. Fahr’s latest dramatic short, “Transit Game” (2014), is a story of friendship and exile set against the backdrop of the Syrian war. The film was shot in north Lebanon and went on to screen in over fifty international festivals, winning prizes in Berlin, San Francisco and Florence. Fahr’s first independent feature documentary, Khaneh Ma: These Places We Call Home (2006), examines questions of cultural identity and dual nationality from the vantage point of three generations of Iranians, divided on three continents and reunited on one journey. The film screened in international festivals worldwide and was theatrically released in Montreal. Fahr holds a BFA in Film Production from Concordia University in Montreal, an MFA in Screenwriting from Hollins University in Virginia and an MA in Film and Middle Eastern Studies from New York University. So good luck (not that you’ll need it) to all of this year’s Fellows! 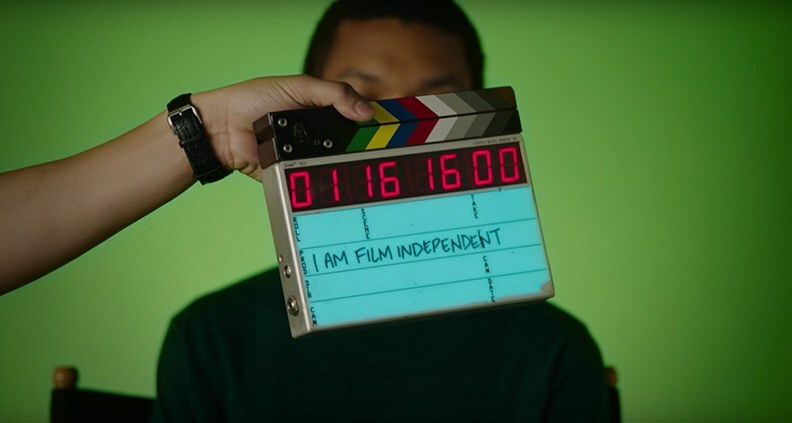 Film Independent’s Directing Lab is supported by Artist Development Lead Funder Time Warner Foundation, with additional funding provided by the National Endowment for the Arts. To learn more about the Directing Lab and additional Film Independent Artist Development programs and grants, click here. And to learn how to become a Member of Film Independent, just click here.